Kaffarah is the penalty which is imposed by the Shariah for the deliberate and flagrant nullification of the Saum of Ramadaan. Kaffarah applies to only the Saum (fasting) of Ramadaan. Kaffaarah for flagrantly breaking a fast of Ramadaan is to fast 60 consecutive days – sixty days, one after the other, without missing any day in between. Since Kaffarah Saum belongs to the second class of the Wajib category of Saum, it is essential to make Niyyat for this type of fasting from the night, i.e. before Subah Sadiq. If the Niyyat is not made before Subah Sadiq the Kaffarah will not be valid. The Kaffarah will be rendered invalid if for any reason – be it a valid reason – even a single day is omitted during the 60 day Kaffarah course. Thus if a person fasted for 59 days and failed to fast on the sixtieth day due to illness, he will have to start the Kaffarah all over again. The only interruption which will not invalidate the Kaffarah is Haydh (the monthly menses of women). rendered invalid. A person who is unable to discharge the Kaffarah because of ill-health or very old age, will have to feed 60 poor persons. 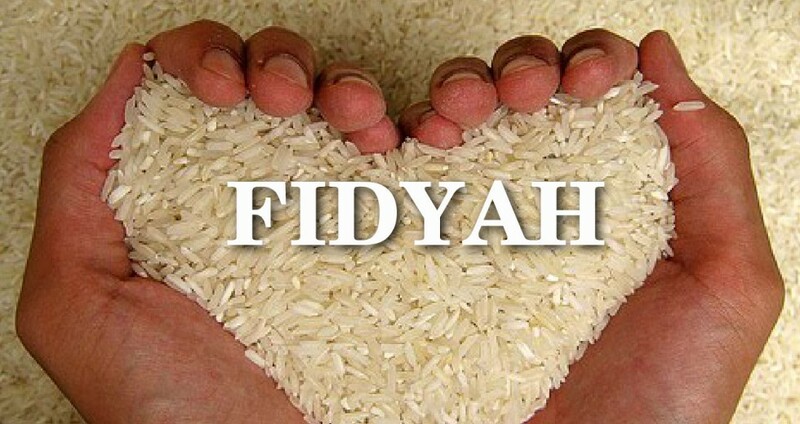 Each miskeen (poor) should be given two full meals for the day or the amount in cash which is given as Sadaqah Fitr. This amount is the price of approximately 2 kilograms bread flour. Instead of the cash, the flour may also be given. A single Ramadaan makes Wajib only one Kaffarah irrespective of the number of fasts flagrantly broken during that Ramadaan. If fasts were flagrantly nullified in more than one Ramadaan, the number of kaffarah will be equal to the number of Ramadaan. Thus, if fasts were flagrantly broken in three different Ramadaans, three different Kaffarah will be obligatory. Fidyah is the compensation which has to be paid for the Saum (fasting) which has not been executed on account of permanent disability, etc.